Release Date // Nike Air Penny V "Orlando"
With the "Red Eagle" launch now behind us, Air Penny V business is ready to pick up. With the "Red Eagle" launch now behind us, Air Penny V business is ready to pick up. 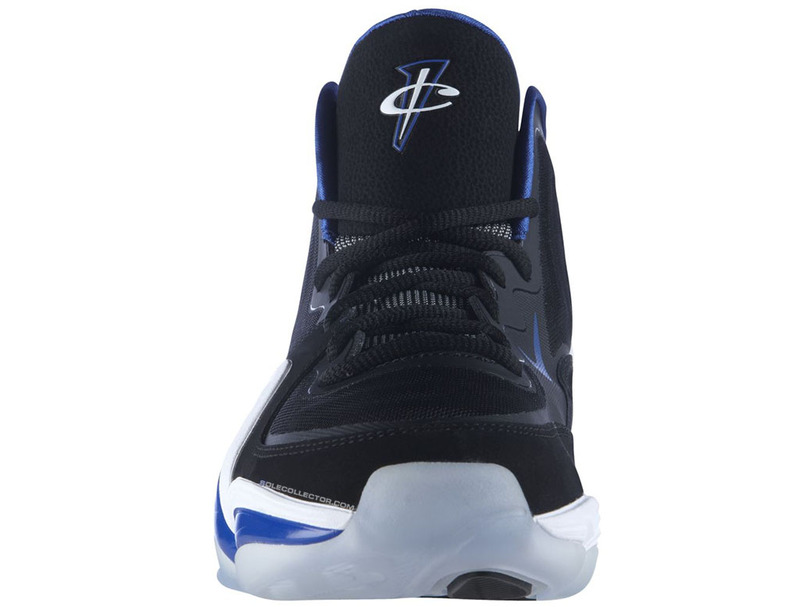 Next on the calendar is the line's staple Orlando-Magic inspired colorway, which salutes Penny's six seasons in Magic pinstripes. The shoe sports a black Hyperfuse-constructed upper with a white foam wing and Game Royal accents throughout. 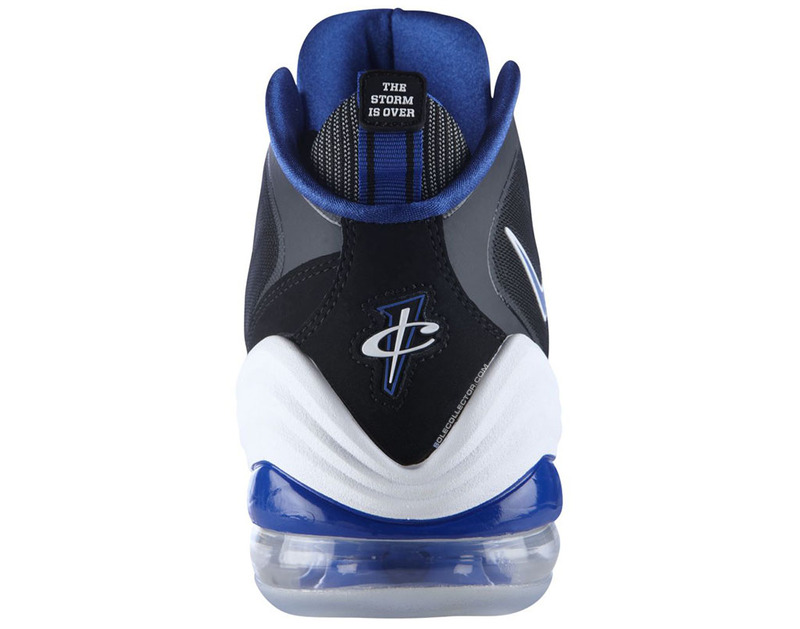 1CENT logos appear on the tongue, heel and outsole, while the right and left heel tabs represent the tattoos Penny has on his biceps. The Phylon midsole houses a rear Air unit and forefoot Zoom, while an icy translucent sole wraps things up below. 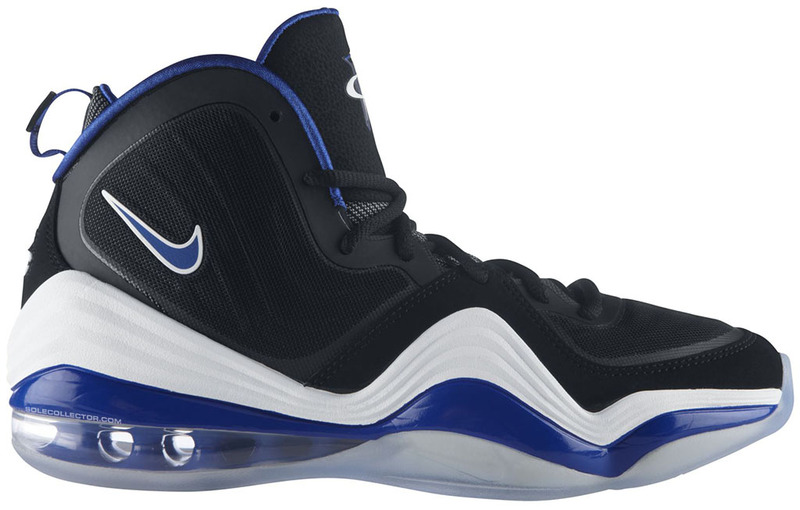 The "Orlando" Penny V will officially hit stores on Friday, October 5 for $165.